In honor of the life and work of the Rev. Dr. King, the Chapel hosted a conversation between civil rights activist and organizer Rev. Dr. Bernard LaFayette, Jr. and Former Indian Ambassador Nirupama Rao exploring the influence of Mahatma Gandhi on Dr. King, moderated by Melanie Lawson. The program featured opening remarks by Mayor Sylvester Turner and Consul General of India, Dr. Anupam Ray. This program coincided with the Houston-wide Gandhi Sesquicentennial Celebration in partnership with the Mahatma Gandhi Library-Houston. A performance by Indrajit Banerjee (sitar) and Shantilal Shah (tabla) took place from 6:30-7pm during seating for the event. A performance by the Phillip Hall Singers concluded the program. Rev. 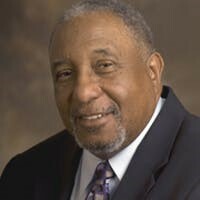 Dr. Bernard LaFayette, Jr., an ordained minister, is a longtime civil rights activist, organizer, and an authority on nonviolent social change. He co-founded the Student Nonviolent Coordinating Committee (SNCC) in 1960, and he was a core leader of the civil rights movement in Nashville, TN, in 1960 and in Selma, AL, in 1965. He directed the Alabama Voter Registration Project in 1962, and he was appointed by Martin Luther King, Jr. to be national program administrator for the Southern Christian Leadership Conference and national coordinator of the 1968 Poor People’s Campaign. Dr. LaFayette earned his B.A. from the American Baptist Theological Seminary in Nashville, TN, and his Ed.M. and Ed.D from Harvard University. Dr. LaFayette has served as Distinguished Scholar in Residence and Director of the Center for Nonviolence and Peace Studies at the University of Rhode Island. 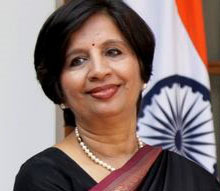 Born in Kerala, India, Nirupama Menon Rao is a retired Indian diplomat, Foreign Secretary and Ambassador. She joined the Indian Foreign Service in 1973. During her four-decade-long diplomatic career she held several important assignments. She was India’s first woman spokesperson in the Ministry of External Affairs, New Delhi, the first woman high commissioner from her country to Sri Lanka, and the first Indian woman ambassador to the People’s Republic of China. She served as India’s Foreign Secretary from 2009-2011. At the end of that term, she was appointed India’s Ambassador to the United States where she served for a term of two years from 2011-2013. On her retirement from active diplomatic service, Ambassador Rao entered the world of academics with an appointment as Meera and Vikram Gandhi Fellow at the India Initiative at Brown University in Providence, Rhode Island. 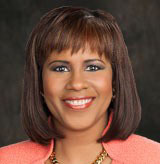 Melanie Lawson is a native Houstonian and award-winning journalist. She started first as a full-time general assignments reporter at Channel 13, then went on to become the co-anchor of Live at 5 and Channel 13's midday show, Eyewitness News at 11am. Melanie also hosts a weekly Community Affairs program called "Crossroads", focusing on issues and events around Houston. She has won numerous awards for her reporting, including an Emmy for her coverage of President Clinton’s visit to South Africa, the only local reporter in the nation to make the trip. Lawson has interviewed a range of notable figures, including three U.S. Presidents, Henry Kissinger, the Dalai Lama, poet Maya Angelou, Destiny’s Child, George Foreman, Spike Lee, and Barbara Walters. Sitarist Indrajit Banerjee is one of the leading exponents of the Maihar Gharana. His training began with his maternal grandfather, Bankim Kumar Pal, a disciple of Inayat Khan, and Birendra Kishore Roy Chowdhuri (Kochi Babu). He then trained under Pandit Manilal Nag of Bishnupur Gharana and Pandit Kartick Kumar, a senior disciple of Pandit Ravi Shankar. He has produced several albums, and composed music for documentary films. Indrajit runs the Antara School of Indian Classical Music (ASICM). Tabla player, Shantilal Shah was born and raised in the culturally and artistically vibrant city of Banaras, India. His basic taalim was under Pandit Mahadev Prasad Mishra of Banaras Gharana and he is a worthy disciple of Taal-Yogi Pandit Suresh Talwalkar. He has been studying and performing Indian Classical Music with intense passion for the last 40 year and is currently on the faculty of the Indian Music Society of Houston. The Phillip Hall Singers is a nonprofit organization dedicated to the musical and social enrichment of the greater Houston area. The group's major goal is to become cultural ambassadors for the city of Houston by presenting quality performances of anthems, spirituals, hymns, pop, Broadway and gospel music. Since its inception in 2015, The Phillip Hall Singers have garnered rave reviews performing for former Secretary of State Hillary Clinton, Interfaith Ministries Tapestry Gala, Music for Autism, Purple Songs Can Fly, Texas Children's Hospital, Gospel Music Workshop of America (Houston Chapter) and for church events, wedding ceremonies, and other civic functions.